The loop is traditionally run counterclockwise because the obstacles are more fun and challenging in this direction. You should not run it in the opposite direction as there is often no room to pass another vehicle. 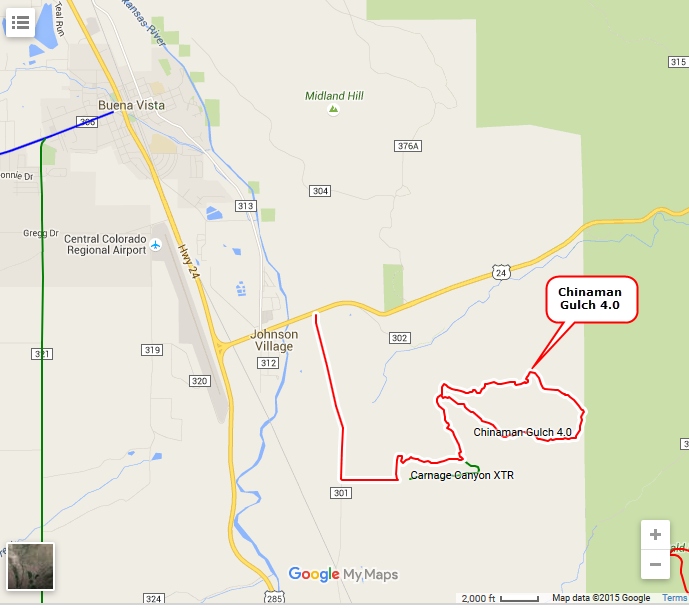 A short distance into the trail you will see where Chinaman Gulch goes left and there is also a road to the right. Take the road to the right to see the exit for Carnage Canyon. 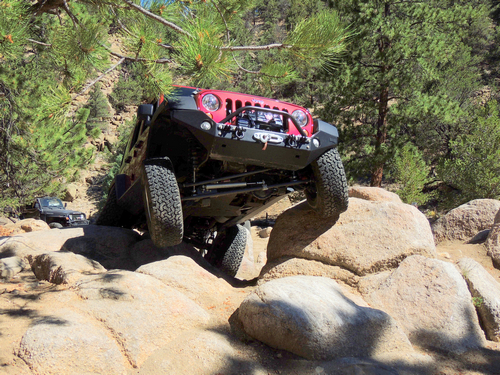 Certainly an extreme trail. Short day if done from Buena Vista. 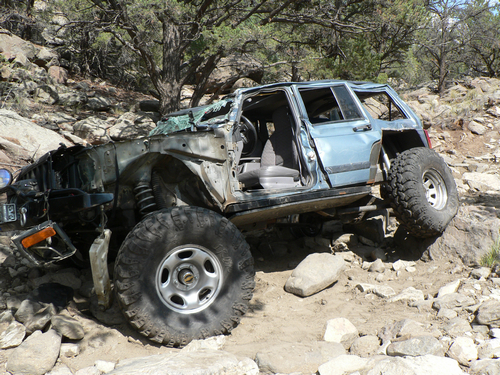 This Jeep trail has very little scenery – It is all about the obstacles! Lots of fun, and certainly deserving of the 4.0 rating. 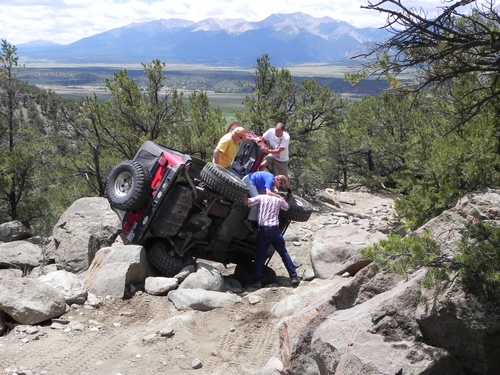 It may even deserve a 4.5 rating - the trail continues to deteriorate every year.